As director of consultancy for Hitachi Consulting, Julie Gardiner provides consultancy and training in all aspects of testing, management, and agile, and specializes in risk, test management, and usability. Julie has more than twenty years of experience as a developer, DBA, project manager, head of operations management, and head of R&D. She has held positions of test analyst, test team leader, test consultant, and test manager in the public sector and in the financial, broadcasting, insurance, utilities, retail, web, and telecom industries using both traditional and agile methodologies. 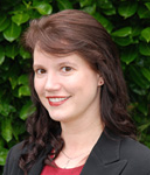 Julie is a certified ScrumMaster and agile coach. Jerry Weinberg once said, “No matter how it looks at first, it's always a people problem.” In the past, the challenges for any team leader, regardless of specialty, were the same when it came down to people issues. Now, with the popularity of agile and its cross-functional teams, we have another factor to consider in addition to the people―their different specialties. How can our leadership help us achieve great results and a happy agile team? Join Julie Gardiner as she presents a communication-style model that can be used to help motivate every member of the team and minimize personality/specialty clashes. Julie shows you how to apply this model to other assessments—such as Myers-Briggs, Belbin, and DISC—and shares experiences using the model. If you're a newly appointed team lead, ScrumMaster, or you just want to get the most out of your team (cross-functional or dedicated specialists), then this session is for you.